After dropping two points in a 2-2 draw with Leganes in the suburbs of Madrid, Eibar will be looking to return to winning ways in La Liga when they host Girona at their Estadio Municipal de Ipurua on Matchday 22. 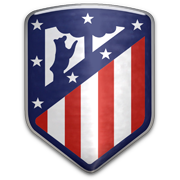 Los Armeros have been having their ups and downs in the Primera Division this term, but they are sitting in the top half of the standings ahead of the visit of Girona, which is the team’s main goal. The Basque outfit undisputedly produce much better displays at home than on the travels and seeing that the Catalans are not regarded as good travelers, home win should be considered. 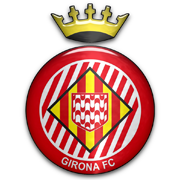 Girona failed to impress in a 2-0 loss to Barcelona at the weekend and considering that they are on a three-game losing run in all competitions ahead of the trip to the Basque Country, we are positive that the visitors are going to return to Catalonia empty-handed. A Red Star Belgrade youth prospect, Serbian goalkeeper Marko Dmitrovic never got a chance to shine at his boyhood club. The talented shot-stopper was forced to take a longer road to prominence and travelled through Hungary, England and Spain to find his place under the sun. Spells with Ujpest, Charlton Athletic and Alcoron brought nothing but disappointment for the Serbia ‘keeper, who rose to full prominence at Eibar. Dmitrovic was voted the best player of Eibar for the 2017/18 season after not missing a single league appearance for Los Armeros. Apart from his footballing exploits, Marko Dmitrovic remains remembered for saving Angel Rodriguez Diaz’s life in a game against Getafe. Dmitrovic was the one to unintentionally knock Angel to the ground after a duel in the box and was also the first one to pull his tongue out when it became apparent that Angel was lying still on the ground. Marko Dmitrovic is Serbia’s second choice goalkeeper who made his debut in 2017. The Eibar custodian was part of Serbia’s World Cup expedition in Russia but did not get a chance in goal with Vladimir Stojkovic being favoured between the sticks.